Saturday, March 2 to Sunday, May 26. Four established photographers with ties to Mendocino County, offer a selection of images that reflect on their careers and explore new work. All cite Mendo County as a place of lasting inspiration. Click here for a feature article from the Feb 28 issue of the Ukiah Daily Journal. Fundraiser for the Grace Hudson Museum at Ukiah Players Theatre. Tuesday, April 23, 6:00 to 9:15 PM. Ukiah Players Theater hosts the Museum for a preview production of their next play, the hysterically funny Noises Off! The festivities begin with appetizers, wine, and soft drinks at 6:00 PM, showtime at 7:00. Coffee, wine, and dessert will be served at intermission. Tickets are $25 for those over 21 and $20 for those under 21. For information and tickets, call us at (707) 467-2836. All proceeds benefit the Museum. Susanna Janssen, author of the book Wordstruck! The Fun and Fascination of Language, is the featured reader for April. She goes on at 7:00 PM, followed by an open mic at 8:00. For additional information, about Writers Read, contact Michael Riedell at innisfree@pacific.net. Cathy Monroe leads a workshop in which visitors will learn the art of creating a photograph using the power of the sun — fun for the whole family! We will also open a new pop-up exhibition featuring the work of Ukiah photographer Jeff Trouette. The Museum will be open from 5:00 to 8:00 PM, with the solar photo workshop ending at 7:00. Museum admission is FREE on First Friday, as is the workshop and pop-up exhibition. Ukiah photographer Jeff Trouette specializes in imagery of nature and adventure, with subjects spanning Mendocino County to locations around the world. Trouette is driven to capture the perfect marriage of composition and light. His photography requires physical endurance and a great deal of patience. Free with Museum admission during normal hours, and free on First Friday. Promise of Paradise: Back to the Land Oral Histories of Mendocino County, now airing on KZYX Radio, every Thursday at 3:30 PM. The Grace Hudson Museum is a proud supporter of this oral history and broadcast project. Catch up on all the episodes by clicking here for KZYX. And to learn more about how it all got started click here to check out Jerry Karp’s November 2018 article in the Anderson Valley Advertiser. The Spring 2019 issue of The Sunletter is now available. Grace Hudson in the Sun House, 1912. Historic Artists Homes and Studios program, of which the Grace Hudson Museum & Sun House is a founding member. Check it out! which ran from February 10 to June 17th. Read the article HERE! Click on images or text for more information. Short-term exhibits in The Main Gallery highlight contemporary art, Native American cultures, Western American history, historic California art and local natural history. Permanent collections showcase Grace Hudson’s art; her family’s history; and Pomo culture and basketry. An outdoor Art and Education center is under development on the museum grounds. Located in a parklike setting, The Wild Gardens features native plant gardens with exhibits and art that teaches about our local environment and how Pomo Indian people managed this landscape. The Hudson’s charming 1911 redwood Craftsman bungalow home, the Sun House sits adjacent to the Museum and is available for docent-led tours. More than a century old, The Sun House allows visitors a glimpse into the Hudsons’ Bohemian lifestyle. 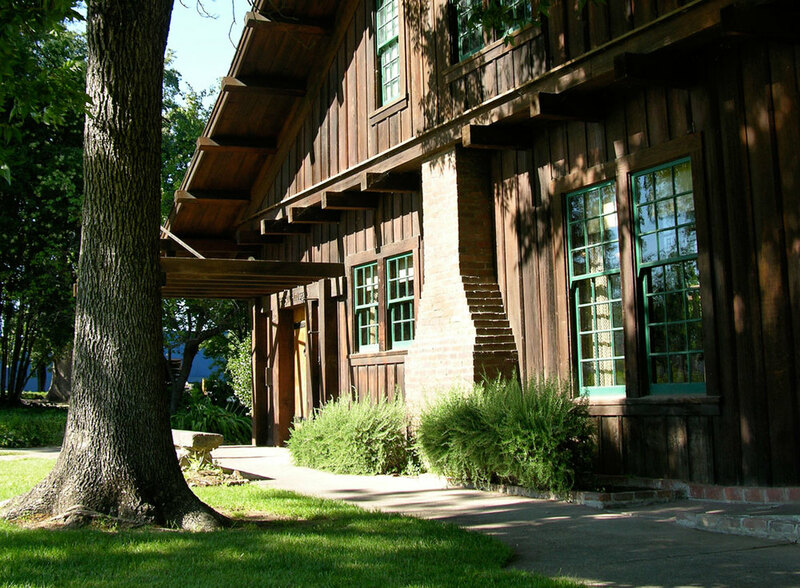 The Grace Hudson Museum highlights regional art, culture and natural history in the tradition of an extraordinary family – that of Ukiah native and nationally admired artist Grace Carpenter Hudson (1865-1937), her ethnologist husband, Dr. John W. Hudson (1857-1936) and her pioneering forebears. We provide opportunities for cultural engagement, art appreciation, historical reflection and hands-on learning. 12 noon to 4:30 p.m.
Open until 8:00 on most First Fridays throughout the year. Check Museum Events page for information on First Fridays. Closed major holidays. We are closed on Sunday, April 21 in observance of Easter. Free to all on the first Friday of each month. We belong to the North American Reciprocal Museum Program (NARM), with reciprocal membership privileges at more than 924 member institutions throughout North America. We are a founding member of the Historic Artists Homes and Studios program: www.artistshomes.org. We are a proud member of the Mendocino County Heritage Network.